Come and watch the Taunton Titans in all their glory at the Commsplus Stadium. Whether you're a diehard supporter or just a fan of the game - there's nothing like watching the local team play at home. The Titans are a fierce side, with a mixture of players from across Somerset, Devon and the surrounding areas. Coached by our team of highly trained coaches, lead by Tony Yapp, the Taunton Titans always put on a good show. Hot and cold food from our burger van. On match days, we offer fans food from our burger van. Parked alongside the pitch, you can purchase lovely hot burgers, sausages, chips and more from our van. Our burger van also serves hot drinks. Or why not visit the Commsplus Bar? Located in the conservatory, the motorway side of the Stadium, the Commsplus Bar has all alcoholic and non-alcoholic beverages you need. With all new locally brewed cider - fresh from the Taunton Cider Company. Getting to the Commsplus Stadium is really easy. Just 5 minutes away from Junction 25 of the M5 and a short journey from Taunton station, getting to a match is no hardship. We have 250 onsite car parking spaces available on a first-come-first-serve basis as well as a large, grass overflow car park. We also have onsite disabled parking and our clubhouse has full disabled access. 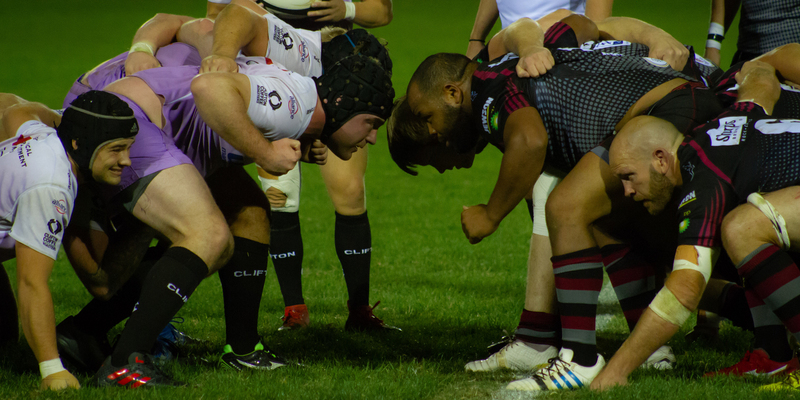 You can also like Taunton Rugby Club on Facebook for updates about the latest match results, news and upcoming fixtures and events here at the Commsplus Stadium. If you are interested in signing up to our newsletter, just enter your details into the box below. And if it's not you're thing, you can unsubscribe anytime. For any enquires, just get in touch.